Tiny Tigers - Our Tiny Tigers Classes are a great way for children ages 4-6 to be introduced to the martial arts. Focus, concentration, listening, respect and courtesy are stressed in order to develop a child's basic learning skills. The exercise and physical fundamentals aid in their development and are a great way for kids to gain flexibility, balance and co-ordination. We understand the importance of fun and variety to maintain high interest and participation. Karate Kids – We teach and build our kids from the "inside out". This means that our first goal is to build confidence, self-discipline and self-esteem. Once our students are armed with these characteristics they will participate and apply full effort with the "Yes, I Can" attitude. We also understand your desire to have a child that will use common sense before using his or her skills for self-defence. Our training builds confidence in each child, while teaching a healthy outlook on life. Kuyukai Karate builds strong bodies and strong values. We are proud to help parents develop children who value honesty, courtesy, respect for authority, and have the ability to say "no" to unhealthy peer pressure. 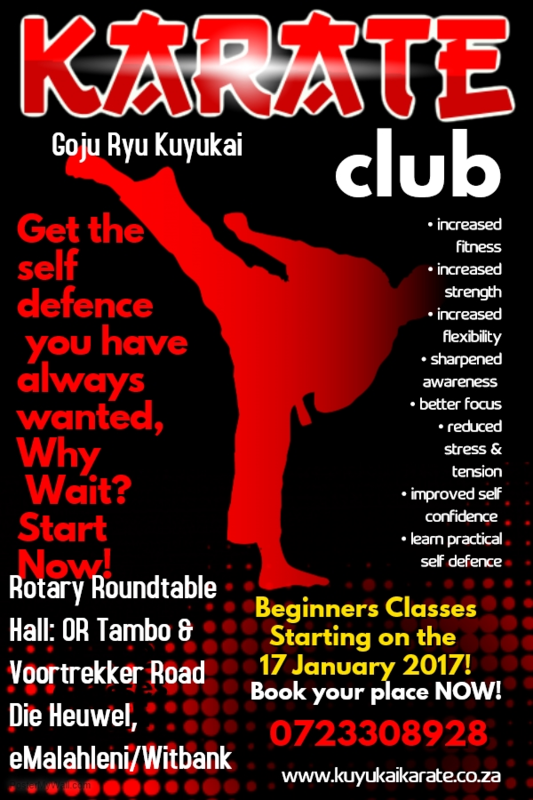 Teens and adults - Our specialised adult program will get you in shape and develop strong self-defence skills. Because our program is goal oriented, you will find yourself looking forward to every class. Our professional coaches will keep you on track, provide the necessary motivation and empower you with skills that last a lifetime.